So what makes a social media post go viral? It’s got to be catchy, fun and interesting. Let’s take a look at the giraffe riddle from a few years ago. The giraffe riddle is a viral sensation. In one day, millions of people have changed their profile pictures, and everyone is talking about it. Aside from taking over Facebook, it’s also making the news. If you’re expecting the answer, sorry! You have to play to win, so look it up in your nearby search engine and see what happens. It was so viral that you will certainly find that at least one of your friends played. Here are 6 lessons that the giraffe riddle can teach you about Social Media Marketing. So what’s the answer? Ah, you think you know, but your friend says you’re wrong! The newspaper says you’re right. A friendly debate ensues. Controversy is the fuel that feeds the fire. If you want people to start talking, throw on some gasoline and watch it burn. Everyone has an opinion and they want to share. Others will join until it becomes a heated topic. WARNING: I discourage you from starting very controversial arguments per se, but there’s nothing like a little fun as shown above. There are several different answers to this riddle, and each person they are smarter than everyone else. Friends are challenging each other after they researched the topic, and even different news sources are reporting a variety of answers. However, when it comes to your brand name, keep it clean. Stick to fun topics where no one’s feelings will really get hurt. Stay clear of politics, religion, and anything else that may be considered inappropriate. Don’t step on anyone’s toes, or damage your corporate image or name. Social media marketing is about putting out a positive brand image, not a negative one. So what makes the giraffe riddle so captivating? This fun social media twist reminds us of the games we used to play in our childhood. It’s a irresistible brainteaser with a double-dog-dare. You instantly engaged your customer with your content…. which lead us to the call to action. This brilliant internet marketing strategy combines our love of childhood with a dare that plays into the hands of our imaginary brand. Losers have to change their profile picture. It gives them an emotional reason to connect with your product. Implement a similar challenge into your next marketing blitz. Challenge your customers or potential consumers and see how they react. Ask them to create their own advertisement for you, create a video using your product, or find a new way to use your product. If they lose, they are sentenced to a fun “dare”. 1. The person who is answering the question has to send their answer to the person asking the question. 2. If the person answers the question incorrectly, the punishment is severe: they have to change their profile picture to a giraffe so everyone else knows that their answer was wrong. Gather your marketing team and develop a creative call to action. It must be something that the average customer will do, so make it fun and within reach. The wrong answer leads to a mock punishment: the guilty are sentenced to three days of replacing their profile picture with a giraffe. Everyone who sees their image knows their crime. It’s visual and people will quickly notice. If it was your brand, everyone would see it repeatedly. And that’s great news for you! This must the work of a marketing genius. Every replaced image represents a consumer who positively responded to a call to action. Twice. And now their image speaks to an immeasurable amount of other potential consumers. 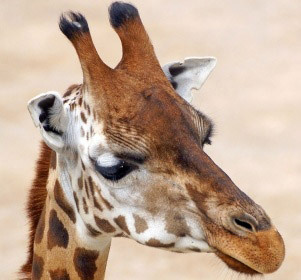 As the giraffes appear more frequently, they positively reinforcement the imaginary brand name of the giraffe, which may encourage more people to participate. Imagine what could happen if you could weave this strategy into your own social media campaign? Make it visual and viral; encourage users to share photos, post images, share videos and more. Eventually, the images become a positive reinforcement of their your own company, creating a virtual circle. This is the most important lesson of all. Is is NOT about you. It’s about your audience. Notice that the giraffe campaign did not mention a product at all. It was fun, and it was brilliant. No product was mentioned, and millions of people participated. My point is that readers don’t want to sell your widgets. They want to participate in social media that is fun and about them. Make the customer the focus of your campaign, and literally put your product in the background. The movies do it all the time. It’s called product placement, and it works. How could you develop a social media product placement campaign? If your product is a restaurant, you could offer a contest for the most beautiful prom picture on a social media site. Your guidelines may say that your restaurant and its sign must be visible in the picture to be eligible to win a gift card. Now, you have upped the ante, and the campaign is all about them. If you choose the winner based upon the most number of “likes” or votes, then people will start “sharing”, “retweeting,” and advertising for you on Twitter and Facebook and more people will be exposed to your brand. The giraffe riddle went viral in one day, and so can you—if you are willing to take away some lessons from their campaign—and if you have some good luck. There’s more to internet marketing than meets the eye, but your digital brand can become a success if you develop a winning strategy.